Unhealthy indeed but it sure looks beautiful. Fantastic details and colours in this wonderful image. Wonderful to see the fresh green shoots overcoming the pollution. Here, some lichens won't grow where there is pollution. 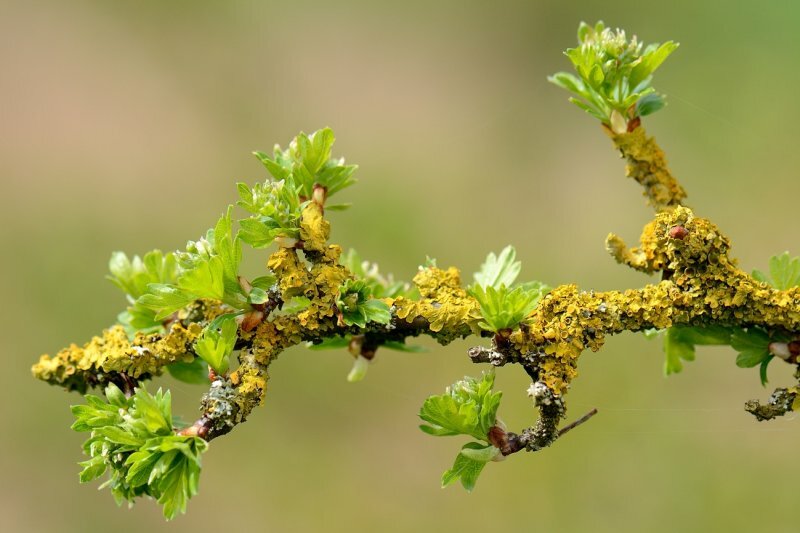 Although pretty to look at, so much lichen is quite a warning. C’est une magnifique photo aux couleurs douces. Les détails sont superbe à observer. New life, a fine capture. Beautiful image. with these colors and detail. Perfect focus and depth of field. "V"
Love the vibrance and rebirth of Nature, here Ton. How interesting. a beautiful closeup. What produces ammonia? Does it affect people? What superb detail of this interesting phenomenon. V.